Despite booking a record quarterly loss, Elon Musk expects Tesla to turn profitable starting in the second half of the year. Tesla’s stock price spiked more than 10% in after-hours trading despite reporting a record quarterly loss that missed Wall Street expectations. The electric car maker said it booked a net loss of $717.5 million in the second quarter of 2018, a 53% loss increase from $336.4 million a year ago. Revenue of $4.00 billion and earnings-per-share (EPS) of ($3.06) beat and missed, respectively, consensus estimates for revenue of $3.92 billion and EPS of ($2.92). What send Tesla shares higher in extended trading however, was the fact that the company burned through less cash than Wall Street feared in the second quarter. Negative free cash flow came in at $742.7 million, a much better showing than the roughly $900 million analysts were expecting. 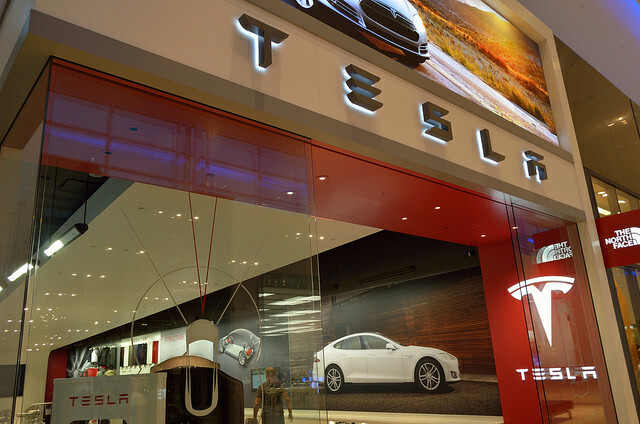 Additionally, Tesla (NASDAQ:TSLA) said it finished Q2 with $2.2 billion in cash and cash equivalents, and predicted cash reserves to grow in the second half of the year. 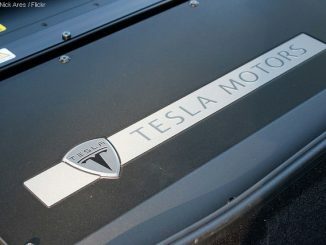 In fact, during a conference call with analysts late Wednesday, Tesla CEO Elon Musk who also apologized for accusing Wall Street analysts of asking “boring bonehead questions” in Tesla’s previous earnings call, said he believes the company “can be sustainably profitable from Q3 onwards” as long as the U.S. economy remains strong. On the manufacturing front, Tesla said it produced 53,339 vehicles in the quarter and delivered 22,319 Model S and Model X vehicles and 18,449 Model 3 vehicles, totaling 40,768. The electric car maker also said that it repeated the weekly Model 3 production of 5,000 cars multiple times in July, and that it hoped to reach its stated target of making 6,000 Model 3 cars by late August. Beyond this goal, Tesla said it hopes to expand Model 3 production to 10,000 units “sometime next year”. The Model 3 is arguably Tesla’s most important product. The $35,000 midsize sedan is aimed at a broader base of consumers. As of writing, TSLA is changing hands at $349.54 on Nasdaq’s pre-market trading – up $48.70, or 16.19 percent. Tesla stock was down 3.4% year-to-date through Wednesday’s $300.84 close.